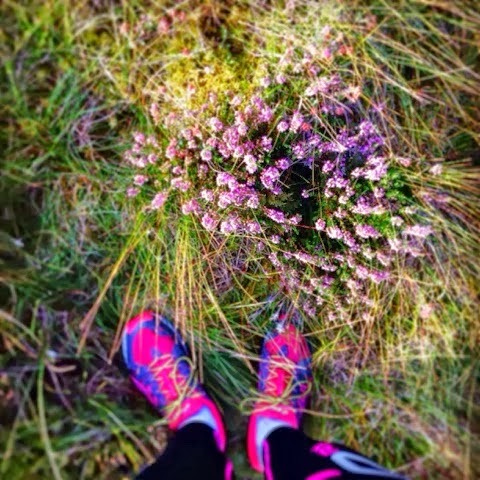 Stay At Home Mamma: Run a marathon - DONE! Run a marathon - DONE! 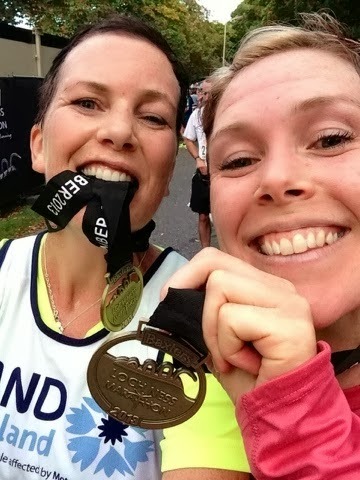 It's been just over one week since I ran my first marathon and I'm still buzzing! 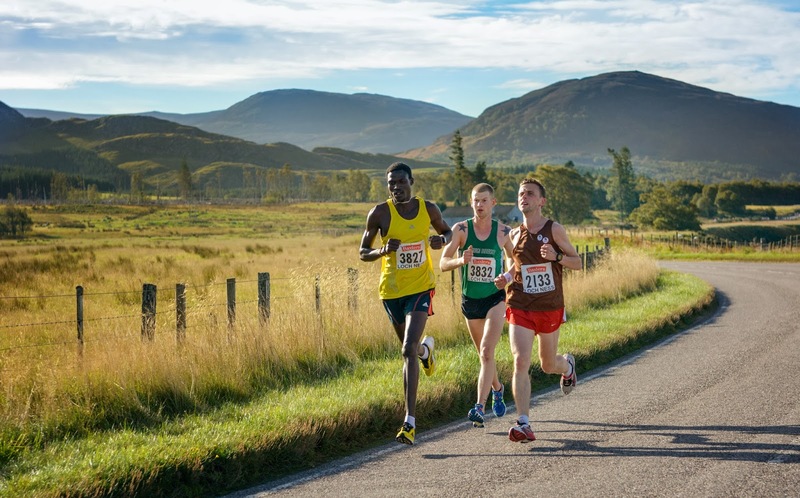 I think I chose the best possible marathon to run as my first - the Lochness Marathon in Inverness, Scotland. Around 70 coaches transported 3,500 competitors to the start of the race which was in the high ground between Fort Augustus and Whitebridge. And fortunately the porta-loos were plenty. 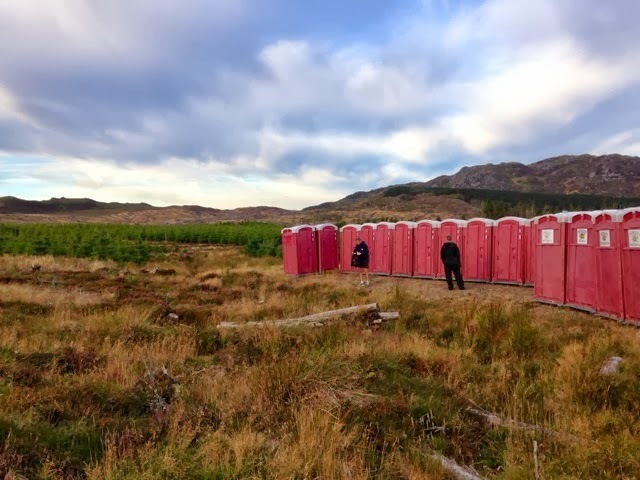 Porta-loos with a magnificent view of the highlands and the last of the summer heather. 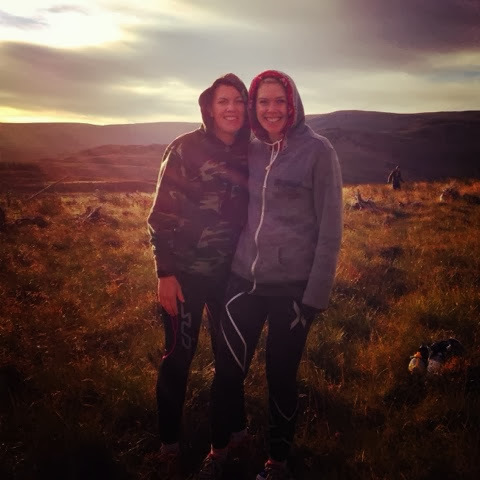 What a privilege it was to do the 16 week training programme and to run the marathon with my sister. No it definitely wasn't all plain-sailing to get to that hillside last Sunday, but WE DID IT! 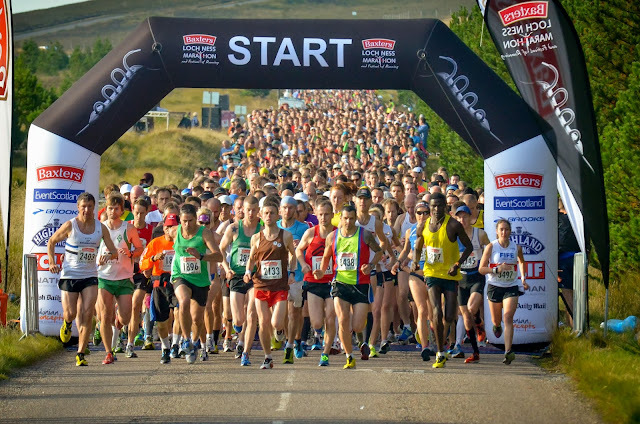 Such a great race atmosphere - many of the runners were marathon virgins like us so there was a vast mixture of nerves, excitement, anticipation and yes even fear. 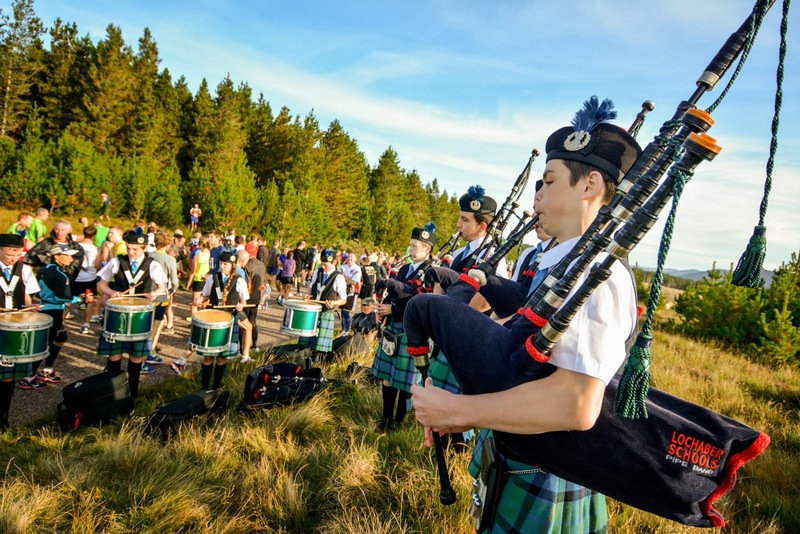 But the sun was shining, the pipers were piping, the race MC guy was telling us how awesome we were. All this helped to create an unbelievable buzz in the air. Can you spot who was likely to win the race? And check out the scenery we had to put up with. Hideous. Yeah it was really difficult, as these runners below are so clearly showing. We pretty much didn't see any civilisation until the last 3 miles. SO AWESOME! My sister decided to blast on ahead at mile 18 as my energy took a sudden dive... with only 8 more miles to go I knew I could do it. That was, after all, an easy run around Richmond Park which I had done a million times. But oh my goodness it was definitely a battle of the mind. The sub-4 marathon went out the window for me as I tried (but failed) to tell the mile-long hill at mile 19 who was boss. Through mile 24 and 25 I could hear my boys' voices in my head "Come on Mamma! You can do it!" - their usual chant they do up the tough hills when I take them out running in the buggy. And also in the forefront of my mind - the reason I was running for the Charity 'Motor Neurone Disease, Scotland' - in the memory of our Aunty Pip who died of MND. But even through the pain in my body and the memories of my sweet Aunty Pip I was still able to raise a smile at those on the sidelines cheering us on, especially when I saw my sister waiting just across the finish line for me. Across the line we were given very cool (and heavy) medals, a Lochness Marathon technical t-shirt and other goodies in a wee bag. I love goodie bags! 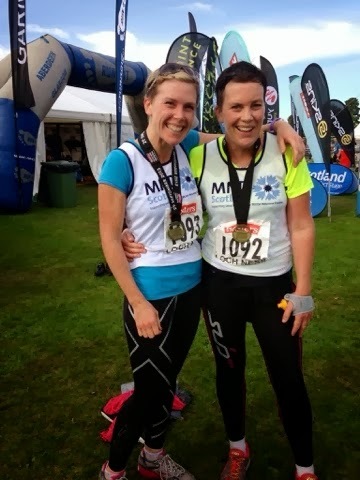 And the MND Scotland charity we were running for had massage tables set up for a post-race massage. WOW. Amazeballs. So blimmin' good! And they also handed us snicker bars, bananas, juice and sodas, lollipops, cereal bars, LOTS of yummy goodness. I was in heaven. All race competitors were given some soup and a hot meal in a big marquee where we sat and listened to some local musicians. Very cool. After a deep sleep that night we caught our flight back to London the following day where Austin, the boys and his parents were waiting for us outside our front door. My inlaws had just flown in from New Zealand so it was a wonderful reunion of jet-lagged parents and marathon-sore runners. 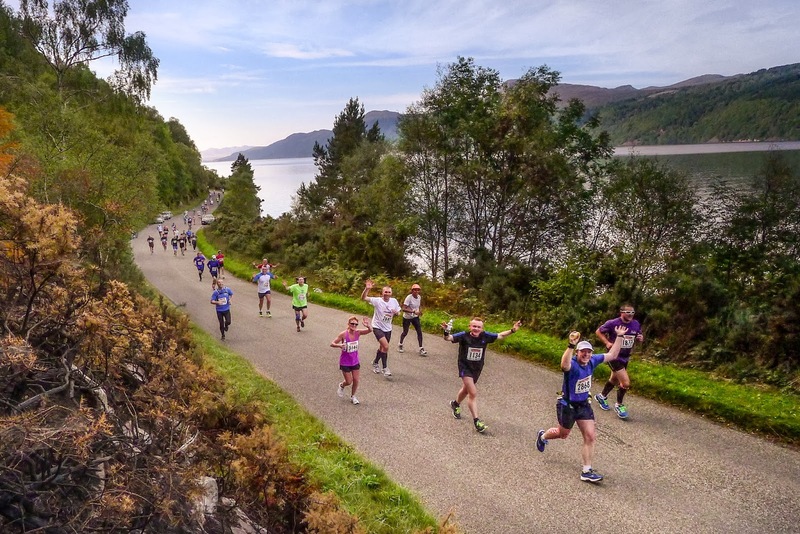 I've got another post coming about our adventures in and around Inverness in the days leading up to the marathon but I didn't want to ram it all into one loooooong post. I know there are many people who unashamedly say they will never do that again after running their first marathon - but I'm on the other extreme of that. You may call me cray-cray and that's fine, but I'm all about when I can do my next one! If you would like to donate money towards our marathon ran for MND Scotland in loving memory of our beautiful Aunty Pip, please follow this link here. Thank you! Your generosity makes the world of difference (it actually really does) for the MND sufferers in Scotland. Such a mammoth achievement for you (and your sister!) Love that you were able to do it together too - great motivation. Oh and you're so right about the location. I could think of worse places to have lost your marathon virginity to!! Wow, you girls are amazing!! I can't even begin to imagine how far a marathon is! Good on you to do this in the memory of your Aunt. Wonder where the next marathon will be? I hear Europe offers some pretty awesome locations to do them in! Switzerland?? Must have been a great time out from the boys too!